if TV’s taught me anything, it’s that if you’re a puppet and you lose your radio, sam will show up and sing you paul simon songs. sam’s kids’ cbc performance of me and julio with mama yamma is the best argument for cbc funding ever. This entry was posted in #tbt and tagged cbc, paul simon, sam roberts on June 5, 2014 by annie. Here’s a really old, really short Sam interview from the George Street Festival in St. John’s, Newfoundland. The caption says uploaded in 2012. 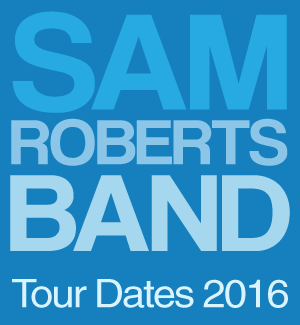 The Google says the Sam Roberts Band played the George Street Festival in 2005. Sam’s hair screams We Were Born in a Flame. Definitely closer to 2005 than 2012, that’s for sure. Only in Newfoundland can a grown man refer to another grown man as a “sweetheart,” and it’s actually quite normal. This entry was posted in #tbt on May 8, 2014 by annie.